In a congressional hearing, advocates for worker safety are criticising the way the EPA is using its new authority under the 2016 amendments to the Toxic Substances Control Act (TSCA) which is designed to shield workers from the occupational exposure to hazardous chemicals. 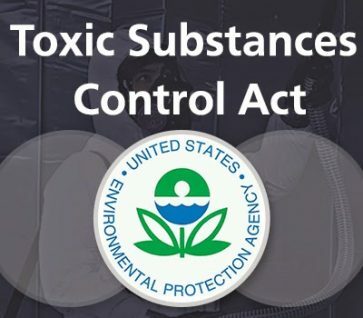 Critics claim that the EPA is not fulfilling its responsibility under the TSCA, citing that the amendments are designed to reduce the risk of exposure to chemicals while considering the specific risks to “susceptible subpopulations” The amendments defined these groups as those people that may be at greater risk than the general population, including infants, children, pregnant women, workers, and the elderly. However, critics state that the EPA is missing opportunities to reduce exposure experienced by groups that include autoworkers, firefighters, and teachers. Details of the EPA’s procedures for conducting risk evaluations allows the Agency to exclude “legacy uses” of a chemical from an evaluation. Although legacy uses are no longer allowed, they have left significant amounts of hazardous chemicals in workplace environments. Despite occupational exposures being much higher than that experienced by the general public, another rule the Agency is promoting to implement the amendments allows the EPA to exclude consideration of commercial uses of a chemical and occupational exposure to it. A representative from the International Association of Firefighters (IAFF) says that firefighters are routinely exposed to legacy asbestos and hexabromocyclododecane (HBCD), a flame retardant, released into the ambient air by extreme heat. EPA’s air toxics regulation for asbestos is intended to minimize the release of asbestos fibers during activities involving the handling of asbestos. The air toxics provisions of the Clean Air Act (CAA) requires EPA to develop and enforce regulations to protect the public from exposure to airborne contaminants that are known to be hazardous to human health. In accordance with Section 112 of the CAA, EPA establishes National Emission Standards for Hazardous Air Pollutants (NESHAP). The list of hazardous air pollutants (HAP), or “air toxics”, includes specific compounds that are known or suspected to cause cancer or other serious health effects. Three of the major health effects associated with asbestos exposure are lung cancer, mesothelioma, and asbestosis. Asbestos was one of the first hazardous air pollutants regulated under the air toxics program. On March 31, 1971, EPA identified asbestos as a hazardous pollutant, and on April 6, 1973, EPA promulgated the Asbestos NESHAP, currently found in 40 CFR Part 61, Subpart M. The Asbestos NESHAP has been amended several times, most comprehensively in November 1990. In 1995, the rule was amended to correct cross-reference citations to OSHA, DOT, and other EPA rules governing asbestos. Although the EPA has included both asbestos and HBCD in the list of the first 10 chemicals for which the Agency would develop risk evaluations, critics claim the EPA is “systematically ignoring exposure risks in its loose implementation” of the TSCA amendments. Firefighters are regularly exposed to these chemicals through their work. The EPA failed to include firefighters as a susceptible subpopulation in their problem formulation document for asbestos released in May 2018, despite the danger that asbestos and HBCD pose to firefighters on a regular basis. In addition, the EPA removed the evaluation of both legacy HBCD and legacy asbestos, including disposal, from problem formulation documents. With these omissions, the EPA is no longer evaluating a large population of workers experiencing regular and significant exposure. During the hearing, some individuals agreed that the EPA does make TSCA safety determinations for a chemical’s use based on PPE recommendations in SDSs. Before producing their products, manufacturers must notify the EPA of new chemicals in Premanufacture Notices (PMNs). According to testimony, the EPA has made ‘required not likely to present an unreasonable risk to workers’ findings based on PPE recommendations in SDSs. When considering the submitter’s intended conditions of use, the EPA must consider whether the protective measures are sufficient for reasonably foreseen uses of the hazardous chemical. The basic policy at the EPA is that employers will follow the SDS recommendations, including intended use of PPE.